"Aunt Dorothy and Family, We send our condolences to all of..."
"Aunt Dorothy and Family, I am so sorry to hear of Uncle..."
"My condolence to Tony's family. 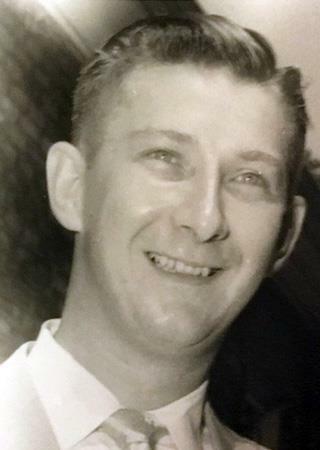 I am sorry to hear of the..."
"Aunt Dorothy and Family, My sincere condolences on the..."
Anthony W. Fritz, Jr. slipped the surly bonds of earth on March 4, 2019 and left for his next great adventure. Tony was born on February 4, 1927 and grew up in the Chicago area a happy and carefree youth going to school and earning money to help his family as a golf caddy. A U.S. Army veteran of WW II, he married Dorothy in 1953, the love of his life, and they remained together until his passing. Tony worked for NASA, the U.S. Air Force and the U.S. Department of Defense in Cleveland, Dayton and Detroit. Tony loved the outdoors, hiking, fishing, golf and especially his family. He also loved and missed his two terriers, Skippy and Pepper. Tony is survived by Dorothy and his children Tony (Beverly), Mark, Diane Prager (Nelson), grandchildren Brianna, James, Stephen, John and great grandson Leighton. Tony may be remembered at the Capuchin Soup Kitchen, Detroit, MI or St. Stephens Indian Mission, St. Stephens, WY.